Reporting to the President of UT Health San Antonio, William Henrich, MD, the Dean of the School of Dentistry (SOD) guides dental education, research and clinical care operations for the School. The Dean leads the development of ethical educational, research and clinical talent within the framework of UT Health and The University of Texas Board of Regents’ operating philosophy, as well as state and federal laws and regulations. Performance in this academic dental leadership role is judged on the SOD’s reputation for excellence in training future dental professionals (dentists and dental hygienists), on its contributions to dental research and on the quality of patient care. The Dean must achieve these results in a fiscally responsible manner consistent with approved strategic objectives and operating plans. The successful candidate will be fully engaged in the recruitment and retention of outstanding faculty members with a keen sensitivity to cultural issues. This position requires an experienced leader in dentistry whose past achievements and current leadership abilities will inspire respect, collaboration and cooperation from talented faculty, staff, students, alumni, community leaders, elected and appointed officials and from other UT Health San Antonio stakeholders. 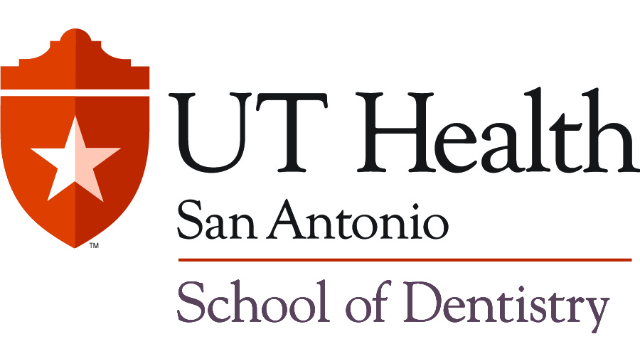 The next Dean of the School of Dentistry for UT Health San Antonio must be a dynamic and emotionally intelligent leader with a vision and committed to motivate and pilot the SOD to achieve successes in clinical, educational and research activities and achieve a national and international reputation. A D.D.S. or D.M.D. is also required, along with a sustained record of peer-reviewed funding, preferably by the National Institutes of Health (NIH). Please contact Jennifer Schaulin, Vice President of MillicanSolutions, at 682-223-5782 or jennifer.schaulin@millicansolutions.com for more information. The University of Texas Health Science Center at San Antonio (dba: UT Health San Antonio), one of six health institutions in The University of Texas System, is the major source of health professions education and life sciences research in South Texas and is a major center for patient care in South Texas. UT Health San Antonio is a comprehensive academic health center with 3,250 students enrolled in five schools: the Joe R. and Teresa Lozano Long School of Medicine, the Graduate School of Biomedical Sciences, the School of Dentistry, the School of Nursing, and the School of Health Professions. The School of Dentistry was founded in 1970 and graduated its first class of 14 members in 1974 and rapidly rose to a level of national and international distinction. Today, the School graduates more than 100 dentists every year. With more than 200 dedicated faculty members in 10 fields of study, the School of Dentistry is on the cutting edge of both oral health research and the delivery of patient care. The School has consistently ranked in the top of all schools of dentistry in the country. The mission of the School of Dentistry is the acquisition, dissemination and use of knowledge toward the enhancement of oral health. This mission is addressed through six interrelated action components: education, research, patient care, community, faculty and staff, and infrastructure. UT Health San Antonio is an Equal Opportunity/Affirmative Action Employer including protected veterans and persons with disabilities. All faculty appointments are designated as security sensitive positions.